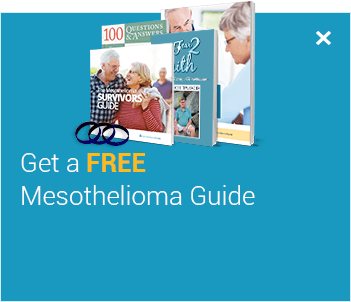 The U.S. Department of Veterans Affairs (VA) provides several different compensation, benefits and assistance options to veterans who develop mesothelioma, many of which are available regardless of whether the veteran's mesothelioma is service-related. How Can I Receive My VA Benefits? Veterans make up the largest group of people diagnosed with mesothelioma because asbestos was so widely used by the military until the 1980’s. Veterans who have been diagnosed with mesothelioma may qualify for Disability Compensation, Pension and/or medical care through the VA. Surviving spouses and dependents may also qualify for Dependency & Indemnity Compensation (DIC), Survivor Pension and Aid & Attendance. Veterans with mesothelioma and asbestos related lung cancer can receive monthly compensation from the VA. 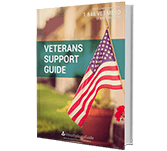 Learn how you and your family can get access to these benefits with our free Veteran’s Support Guide. Free help is available to veterans filing claims with the VA. Filing VA claims can be a confusing process for veterans who go it alone. Our Veterans Service Representatives specialize in asbestos-related disease claims. The VA offers benefits to support veteran caregivers as well as compensation for a patient’s dependents. We’ve streamlined the process of filing for VA benefits. With the help of our VA-accredited claims agent, retired LCDR Carl Jewett, veterans with mesothelioma can easily file for compensation and benefits. Commander Jewett has helped thousands of veterans receive the compensation they deserve quickly and easily. Filing for VA Disability Compensation and/or Pension (starts at $3,027/month). Spouses and children filing for survivor benefits. Filing for Aid & Attendance (A&A) or housebound benefits. I was skeptical because I did not know how to begin to do anything with the VA. I was still so numb and needed help at this difficult time in our lives. So I decided to make the call. Truly, Carl Jewett was a life saver. He was very sympathetic to what we were going through plus guided us on ALL the forms that were needed. I can honestly say we THANK our lucky stars we found this organization and hope he will ease a few more VETERANS through their ordeal. There are multiple ways to file an asbestos-related disability compensation claim with the VA. Veterans can elect to have their claim adjudicated under the standard processing rules, or they can elect to file an expedited claim under the “fully developed claim” rules. Determining which is best for you requires the expert advice and guidance of a skilled veteran service representative. Veterans Service Representatives (VSRs) are individuals who are skilled at dealing with the VA and are available free of charge to help veterans file a claim. Filing a claim with the VA can be tedious and confusing, which makes the experience of a VSR invaluable. Because most representatives have experience dealing with the VA, the probability of a successful claim is much higher with their help. Aside from ensuring the best chances of a successful claim, VSRs also take stress off patients and their families. Service officers and claims agents give veterans peace of mind during the claims process. Our Veterans Service Representative, Carl Jewett, is a VA Accredited Claims Agent with over 10 years of experience in assisting veterans in filing asbestos-related VA claims. He is a 24-year retired Navy veteran who has helped thousands of veterans with asbestos diseases get approved for VA Disability Compensation from the VA.
For more information check out LCDR Jewett’s 3 Things Every Veteran with Mesothelioma Needs To Know. In order to file a claim with the VA, a veteran must meet specific criteria and complete the filing process. In order to be eligible, the veteran must have been diagnosed with pleural or peritoneal mesothelioma, have the medical documentation for that diagnosis (pathology report or cytology report from a biopsy), and must not have been dishonorably discharged. To qualify, the veteran must convince the VA that they had more asbestos exposure in the military than they did in their civilian jobs. To do this, the veterans must submit an exposure summary letter to the VA detailing their military career and their exposures to asbestos, and then in contrast, must provide information regarding their civilian jobs both before and after their military service. 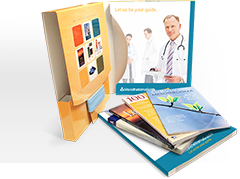 The patient files their application, supporting documentation and an asbestos exposure summary along with any medical records that support the diagnosis, such as a pathology report from a tissue biopsy, or a cytology report from a fluid biopsy. The VA reviews the form(s) submitted. In rare cases, the patient undergoes a physical medical examination at their local VA hospital. Most patients can skip this step with the help of a claims agent. The VA orders the veteran’s service record and military medical record from the National Personnel Records Center in St. Louis, MO. The VA makes a decision regarding the compensation for the veteran after they evaluate the patient’s complete record, called a C-file. The veteran receives a back pay check for the period between his claim submission and approval. The veteran then receives a disability check every 1st of the month. The most important part of this process is when the VA determines the level of asbestos exposure during time in the military and during occupations as a civilian. This is required as evidence to establish the relationship between the veteran’s asbestos exposure and the development of mesothelioma. Our VA Accredited Claims Agent specializes in assisting veterans in writing their exposure summary letters for free. 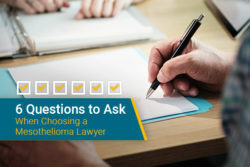 The VA takes a few factors into account when determining the type and amount of compensation for mesothelioma claims. 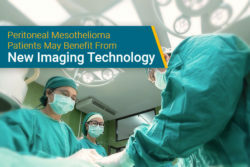 The first factor considered is whether the claim is based on illnesses taking place before, during or after service; because of the long latency period between exposure and diagnosis, most mesothelioma claims are considered post-service. For post-service claims, the VA requires evidence of asbestos exposure during military service, which our veterans claim agents can help to determine. After the VA determines if a veteran is eligible for benefits, the degree of the veteran’s disability is taken into account. The VA rates a veteran’s level of disability on a scale from 0 percent to 100 percent, measured in 10 percent intervals. However, mesothelioma and asbestos lung cancer patients almost always receive a 100 percent disability rating. The age and retirement status of the veteran is not a consideration in approving a veteran for disability compensation, nor is it considered in the rating decision. Lastly, the VA considers whether the veteran has a spouse or any dependents. Single veterans receive $2,973 in compensation a month but can collect more given their marital and dependent status. Veterans can also receive additional compensation if they are in need of regular Aid & Attendance, or are Housebound. This money is intended to help offset the costs associated with hiring a caregiver to assist the veteran in their home, but veterans being cared for by a spouse or relative can still receive Aid & Attendance or Housebound compensation. Dependents and survivors of veterans may also qualify for benefits from the VA. The VA offers Dependency and Indemnity Compensation (DIC) to surviving dependents of veterans who died from service-related diseases and disabilities. The veteran’s discharge must have been under circumstances that were not dishonorable to be eligible for benefits. "Veterans with mesothelioma are often eligible for VA Disability Compensation." Compensation. 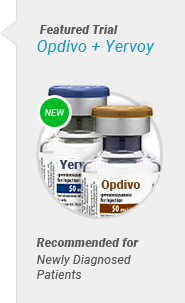 U.S. Department of Veterans Affairs. Retrieved from: http://benefits.va.gov:80/compensation. Accessed: 10/15/18. 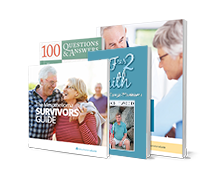 LCDR Carl Jewett is a retired Naval Officer who serves as the Veterans Department Director and Patient Services Director at Mesothelioma Guide. He is a VA-Accredited Claims Agent with more than 10 years of experience filing asbestos-related VA claims. He has helped over 1300 veterans who have been diagnosed with asbestos-related illnesses get approved for VA Disability Compensation, VA Pension, and/or Aid & Attendance benefits. Because veteran’s are also entitled to compensation through the legal system, Carl has communicated with many mesothelioma law firms across the country. He has gained extensive knowledge of asbestos trust funds, mesothelioma lawsuits, settlements, and the claims process. He provides both veterans and civilians with information regarding their legal options. Last Edited: January 8, 2019.